In case you were wondering, did I abandon my blog? The answer is, No, I didn’t. I was trying to sort out my relationship with my first best friends – books. There was a time when I used to read a lot but, past couple of years did not add much to my books read list. And, then came a time when it started hurting, not to give time to something which I used to enjoy. And then one day, I somehow stumbled upon HTBrunch’s book challenge and I decided to take the plunge. So, My aim for this year is to finish 24 books (Trust me, I am trying my best to achieve it). You can read about the challenge here. 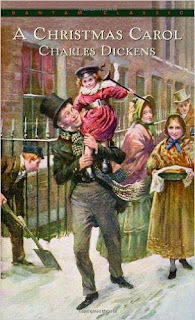 The first book which I read as part of this challenge was A Christmas Carol – Charles Dickens. I picked up this book when people were settling down after Christmas and new year vacations. But, you know what, that is the special quality of a good book. It takes you places you have never been and makes you feel as you know it since ages. What the book is about? The story starts with the protagonist Ebenezer Scrooge on Christmas eve and his ideology of Christmas being humbug. The story revolves about Scrooge and his mind and soul changes after the three ghosts visit him. 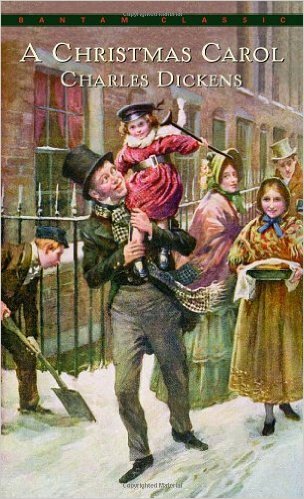 The ghost of The Christmas Past, The Christmas Present and The Christmas yet-to-come and how they change Scrooge to think positively about Christmas and enjoy the festive spirit. It is a soul-lifting story. So, I would recommend this a read not just on Christmas, but on any day when you are not feeling very light hearted. Dickens’ writing style is as classic as it can be. The story is about three ghosts and Scrooge’s self-revelation, but I think, it has deeper meanings. In a way it tries to portray that money, power, status – everything is transient, what remains there is, simple acts of kindness and humanity. Please do let me know if by any chance you commit to the challenge.